For many of us who have experience a pond leak with our pond liners we know all too well the enormous task it is to remove an existing epdm pond liner once a leak occurs. For many of us that required of course removing the water and a safe temporary place for our fish but also involves removing all the surrounding plants, slate, decorations etc. Once the liner is removed we will need to level off and reinforce the earth again behind the liner to insure that during the course of the months the liner does not "settle" and thus begin go lean causing water to escape. The whole process is very time consuming. PondPro2000 is a two-component product consisting of a catalyst which is the part of the product that starts the drying process. Once you mix the products together you have approximately 2-3 hours depending on air temperature before the product will start setting up in the can; which is more than sufficient. You will need to mix the product with a drill mixer and not by hand. For existing pond liners that have not been coated with other products you simply need to apply one coat of the PondPro2000. Coverage is approximately 40 square feet per gallon. The material will begin to set up within 3 hours but depending on daytime temperatures we suggest wait 5 days before filling your pond. The product does waterproof right after it's has been applied so if you finish one day and it rains at night there is no need to worry. You simply need to wait for the water to evaporate for the drying process to continue. 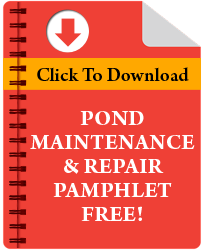 Over the years PondPro 2000 has been trusted by thousands of customer as the only one-step solution to repair pond liner leaks. If you are a do-it-yourself type of person and are looking for a significantly easier method to fix your pond liner leak you have found it. 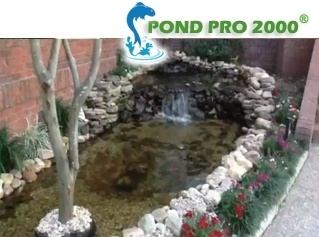 Your existing pond liner can be coated once with PondPro 2000 and immediately your leak is fixed. Seventy five percent of pond liners are EPDM and the balance PVC (sorry pondpro will not work on PVC liners). 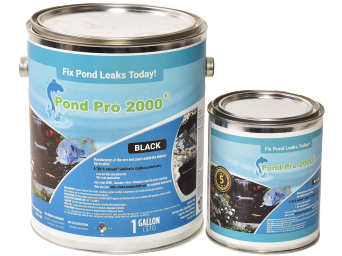 PondPro2000 is epdm as well but in 100% liquid EPDM allowing it during the "curing" or drying process to find its way into the small superficial cracks and crevices to seal off pond liner leaks. 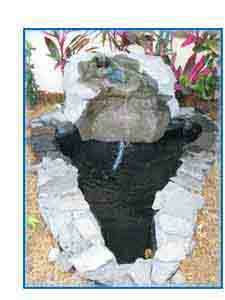 This is one step process for all pre-formed pond liners. Once the product is dry it forms a seamless membrane. If you have any folds in your liner be sure to straighten them out on some occurrences if you do not effectively coat underneath the folds properly water will get under the material once it cures and it will separate. 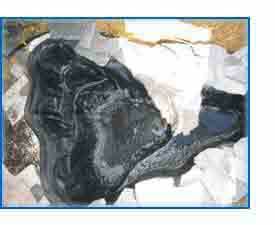 Pond liners do not have the resilience like the liquid epdm does. For example, it will not break down like traditional pre-formed pond liners since it is both UV and ozone resistant. 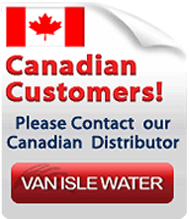 There have been several products over the years that have been used to repair pond liner leaks; however, they have been temporary fixes at best. First is patching and glue. Unfortunately many times the edges will fray and will peal up. Once that occurs it exposes the glue that will lose adhesion. Spray on applications from an aerosol can also have been attempted but again very short term fix. Expandable foam also has been tried and does keep a liner in place but as the earth below changes due to water getting underneath it will force the foam to move and ultimately bringing back your leak. An additional benefit of the PondPro 2000 is that you are also able to use it for joining seams once you apply the butyl tape over the seams. The key reason PondPro 2000 is so successful is in the chemistry of the curing process. The product is catalyst based and if you were to take a cross section of this and look under a microscope you would essentially see small air bubbles come to the surface. This is the catalyst forcing up to the surface what would otherwise be trapped air. Once the Liquid EPDM cures it forms an airtight seal on your existing epdm membrane. This is the reason why PondPro2000 is backed by a 5 year product warranty. 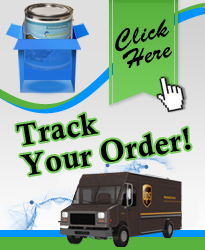 It is the only warranty of its kind in the industry.